Some of you may remember I wrote about The Apotheosis of Washington painting in the U.S. Capitol. A friend just informed me that someone has published an ebook that investigates the U.S. Capitol as a type of temple, including this painting, and many other interesting details. 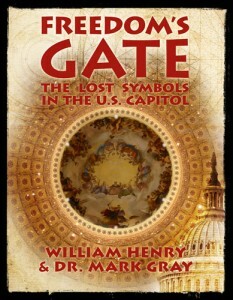 It is called Freedom’s Gate: The Lost Symbols in the U.S. Capitol, by William Henry and Dr. Mark Gray. The Dome of the U.S. Capitol is a mirror image of the Vatican Dome and was thought of as a recreation of Solomon’s Temple by its builders. The art of the interior corridors of the Capitol mirrors Vatican art. Higher Wisdom flows through the Capitol’s spiritual imagery and artwork. The bell-shaped Capitol Dome is a stupa that creates a vortex or field of energy that extends into the world. The Freemasons who built the Capitol viewed it as a ‘beehive’ buzzing with energy. Literally, we can alter this energy field by visiting the Capitol Dome and praying or meditating inside. This will raise the frequency of the Dome and the Capitol, helping to clear out negative or harmful energies. This is the great secret of the Founding Fathers. They left us a bell to ring in times of distress. Let Freedom’s Ring! Reading up about the author, William Henry, shows he believes in some interesting New-Age metaphysics, with stargates and wormholes among other things. I’m not so sure about all of that, but this book might still include some interesting insights about the U.S. Capitol being a type of temple to the Founding Fathers. Thanks Jennifer! Has anyone read this book? What are your thoughts about it? 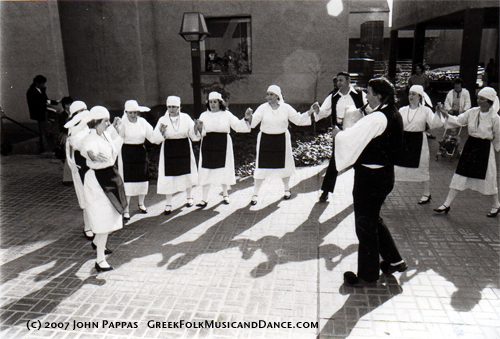 Please share your impressions in the comments.